You'll be £8.00 closer to your next £10.00 credit when you purchase Irishmen in the Great War. What's this? 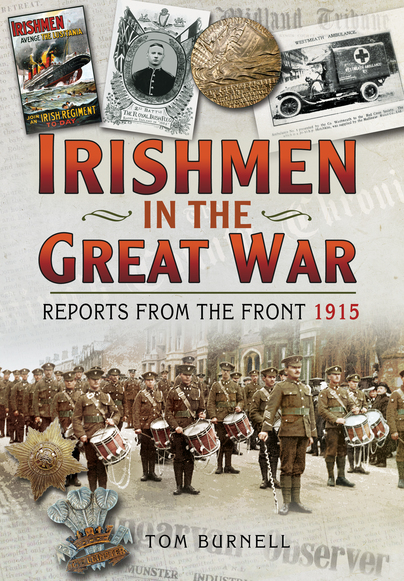 Following the success of the first book in the series covering 1914, Irishmen in the Great War: Reports from the Front 1915 is a labour of love from author Tom Burnell, containing over 150 hand-picked news stories taken from a selection of twenty-seven Irish newspapers throughout the course of the year. These rare and untapped stories, many of which have not seen the light of day since the 1920s, give a unique insight into life on the front line and on the home front during the First World War. These are the accounts of local men at the front, letters sent home from soldiers in the trenches at Flanders, graphic narratives from allied gun turrets, Irish nuns at Ypres, Irish POWs held in Germany, troops coming under fire on Christmas morning and many more. We are presented with articles explaining the logistical side of supporting the army, from how the men at the front were fed to combating ailments brought about by living in the trenches. A letter from a surgeon of the King's Country Infirmary explains the graphic experiences of everyday life on the front line and the newspapers present feature articles on the use of torpedos, hand grenades, warplanes and more. Translated German letters pay tribute to the courage, stamina and shooting skill shown by the British and letters from British troops remark on the deathly accuracy of the German snipers. We also hear of a Kilkennyman who survived the sinking of the Lusitania and how the attack strengthened the resolve of Irish soldiers on the front. We see letters from lieutenants in the Leinsters, privates in the Munsters at Egypt, the Connaughts at Turkey, a fifteen-year-old soldier of the 18th London Irish Rifles, a Kilmoganny soldier writing to the Kilkenny People during a lull in the fighting, letters explaining how the 2nd Royal Irish Rifles fought at Neuve Chapelle and an officer's harrowing description of a gas attack at Hill 60. Amongst the articles of bravery and death, there are also stories of humour and quirkiness, from a furious cyclist who was fined 10s for riding on the pavement to rousing trench songs and remedies to rid the body of lice. A fascinating insight and I am sure I will be dipping into it repeatedly for months to come. A superb and compelling book and one that deserves the widest possible readership. Featuring more than 150 stories published throughout 1915 in 26 Irish newspapers, this treasure trove of hand-picked news presents unique slices of life on the Front line and at home in Ireland during the First World War. From cheery soldiers' letters home to graphic accounts of fighting and harrowing descriptions of destruction and gas deaths, historian Tom Burnell has complied a selection of forgotten reports that shed new light on the experiences of Irish soldiers in WW1. Historian and author Tom Burnell has spent seven years trawling Irish archives and presents 150 fascinating stories from 26 Irish regional seen by Irish troops. 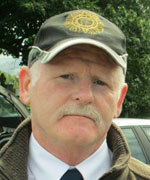 Tom Burnell lives in Holycross, County Tipperary. He has published ten books, nine of these on the Great War. He is a lexicographer, historian, author, Irish Defence Forces veteran of ‘The Troubles’, and ex-research curator of St Mary’s Famine and War Museum, Thurles, County Tipperary. Fascinated by the forgotten Irish participants of the Great War he set about chronicling each county Roll of Honour and has completed seventeen of the Irish Republic’s twenty-six counties. He has spent the past seven years compiling forgotten articles from all the regional newspapers.